It’s actually one of the weirdest videos I’ve ever seen on YouTube. I’d say it’s hilarious, except for the fact that the New Age mother-daughter hosts of this channel are serious–about talking to Greek gods, pulling energy out of thin air, eliminating children, and demonizing moms. “Because gravity is real, intuitive channels fall down when we don’t hold them up. We are repeatedly lifting up our intuitive channels so they get out of the soup of confusion, fear, and untruth that is rampant in human society. We do this so we can hear god,” the McGonagill’s claim. At one point the begin talking to the ancient Greek god, Pan. By the end of the episode, McGonagill contends that the earth is too crowded and suggests abortion over childbirth. You know what else is sickening. These women are a part of a much larger organization that has thousands of adherents. One look at this video and I think you’ll agree with me: these woman are either certifiably nuts, or under the spell of Satan. 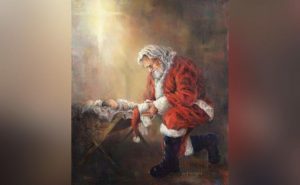 Facebook is no longer censoring an image of Santa Claus kneeling before the Baby Jesus that it had deemed “violent or graphic content” after a report on LifeSiteNews about the matter went viral yesterday. Users then had to click on a button to uncover the photo. Facebook users are now able to freely share the image without any additional step required to view the image. After LifeSiteNews wrote yesterdayabout Facebook’s condemnation of the picture, the story went viral. In less than 18 hours, the story was shared on Facebook over 42,000 times by LifeSiteNews readers and had been viewed about 60,000 times. 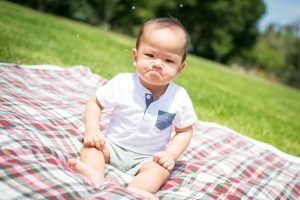 The story received a boost when it was picked up by U.S. conservative columnist Todd Starnes and published on his blog today. It was also picked up by The Blaze in a post today. Interestingly, the image was restored on the Feast Day of Saint Nicholas, aka, Santa Claus, who is revered for his kindness and generosity. On December 25, Christians around the world celebrate the birth of Jesus Christ that happened 2,018 years ago. Christians believe that Jesus is the Son of God who came into the world to save mankind from sin and to open the way to heaven. Christians consider God becoming man the greatest historical event to have ever taken place. I only bring toys and things and you bring love and grace. But you hear prayers of the heart and promise your will to do. But you love them unconditionally and that love will abound. But you leave a heart of love, full of purpose and reasons. But I never healed the blind or tried to help the lame. But no nail—scarred hands or a promise of the hereafter. But there is only one omnipotent you, to answer a sinner’s call. To worship and adore you on this, your holy birthday. Facebook has a long history of censoring faith-based organizations and individuals. The social media giant has been forced to apologize for numerous instances of improperly flagging conservative or Christian content as “hateful” or otherwise inappropriate. It has also come under fire for letting left-wing organizations like PolitiFact and the Southern Poverty Law Center influence its “fact-checking” and “hate speech” policies. The social networking giant has also banned many LifeSiteNews’ pro-life ads, deeming them too “political” because they showed pictures of pregnant mothers, ultrasounds, preborn babies, and the tiny feet of an infant child held in her mother’s hands. I saw this story over at World Net Daily and had to chime in. 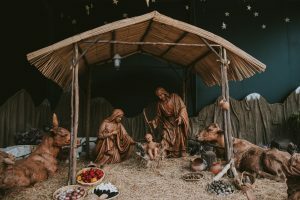 A Twitter user who profiles himself as an associate professor of clinical psychology and sexuality studies from Minnesota is trying to #MeToo, God, regarding to the New Testament account of the virgin birth. 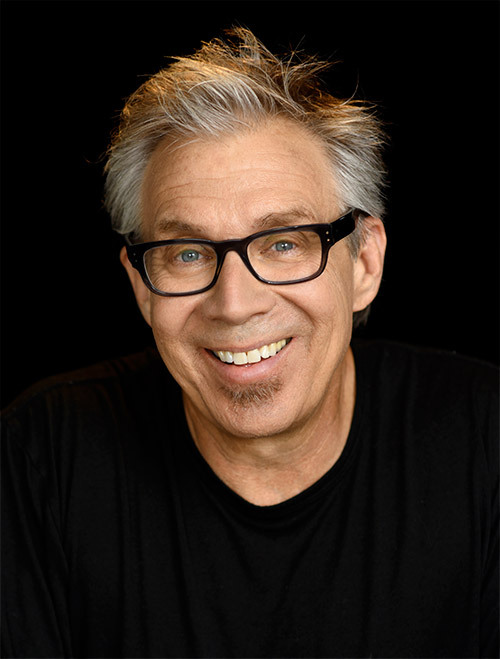 Eric Sprankle claimed the “The virgin birth story is about an all-knowing, all-powerful deity impregnating a human teen. There is no definition of consent that would include that scenario. Happy Holidays. In other words, this guy is trying to claim that God caused Mary to become pregnant against her will–which is hardly true. Sometimes it just takes opening up the Bible and giving it a read. More madness from my state of California, this time originating at our state’s University in San Marcos. 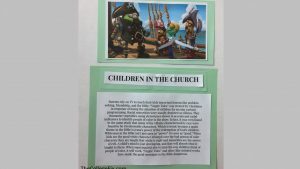 At an event known as the Annual Whiteness Forum, the popular Christian children’s cartoon series, “VeggieTales,” has been labeled, “dangerous” for promoting racial stereotypes by making the villains colored. That’s right, Bob the Tomato and Larry the Cucumber, whose tagline is, “Remember kids, God made you special and he loves you very much,” are promoting racism. It should be noted that the Veggie Tales’ heroes, Bob the Tomato and Larry the Cucumber, are red and green, respectively. According to Fox News, the female student who headed up the project reportedly said the evil characters sound ethnic or Latino, while the good characters sound white. 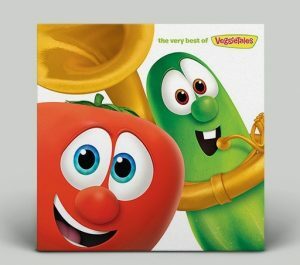 By humanizing vegetables, says the poster, the creators of VeggieTales are using children’s programming to promote racial stereotypes by making the villains racial minorities. “When supremacists aim to taint the way children think of people of color, it will work,” it reads. The Bible teaches that all people — regardless of race — were created in God’s image, have sinned, and are in need of the saving grace of Jesus the Messiah. This is the message of Veggie Tales. I would know–my kids grew up on the series, Veggie Tales. And the villains (and even some of the good guys) do often have silly accents, for purposes of humor.